In 2017, Luxco repackaged its Old Ezra Straight Bourbon 7 Years Old as part of its bid to keep moving higher on the shelf and an expansion. Drew found the 101 proof offering “quite good and pleasantly straightforward,” giving the expression a solid B+ rating. 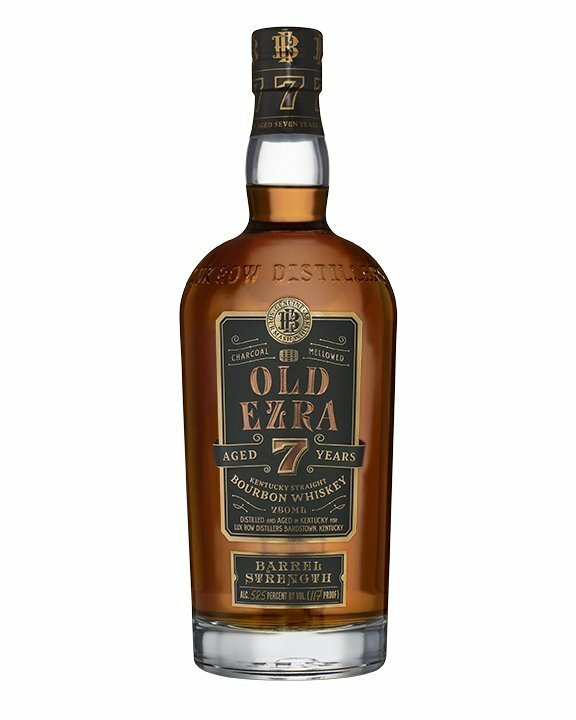 But now that 2017 expression is going away, as Luxco is replacing it with a higher proof, barrel strength version of Old Ezra, though it still carries a 7 year old age statement. It’s a bit unclear if this is the same stock as before, just bottled uncut, but I’m going to assume they come from the same Kentucky-based barrel source (reportedly Heaven Hill). Much like the prior Old Ezra, this version is, well, quite good and pleasantly straightforward. The nose immediately offers red pepper, burnt sugar, and a bold barrel char note. I get a light smoky/beefy character as it evolves in the glass, though nothing too pungent. The palate sees a lot going on, with notes of cherries, applesauce, caramel, and dark chocolate all whipping up a dessert-like theme. There’s also a note of buttery shortbread late in the game that is particularly appealing. The finish is hot though its still approachable; I never felt the need for water with this bourbon. Lingering notes of Mexican chocolate and more red pepper cling to the tongue as it fades out. All told this is a solid, higher-proof bourbon that I enjoyed quite a lot — and while it works fine on its own, it seems poised for even greater success as a high-abv cocktail mixer.